Visit Audi Colorado Springs for a great selection of new, used, or Certified pre-owned Audi vehicles. Audi Colorado Springs in Colorado Springs, CO treats the needs of each individual customer with paramount concern. We know that you have high expectations, and as a car dealer we enjoy the challenge of meeting and exceeding those standards each and every time. Allow us to demonstrate our commitment to excellence! Our experienced sales staff is eager to share its knowledge and enthusiasm with you. We encourage you to browse our online inventory, schedule a test drive and investigate financing options. You can also request more information about a vehicle using our online form or by calling 855-349-2823. 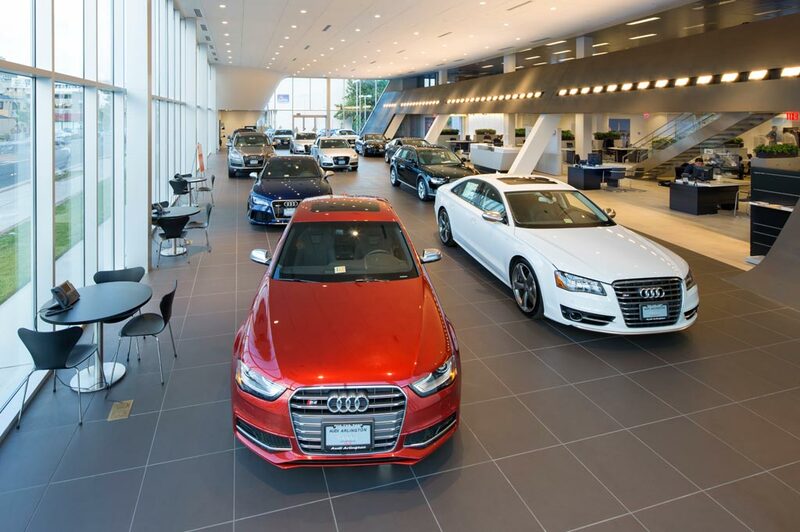 Audi Colorado Springs in Colorado Springs, CO treats the needs of each individual customer with paramount concern. Audi enthusiasts in the Colorado Springs area have helped keep Audi one of the most popular brands on the road today! We know that you have high expectations, and as a car dealer we enjoy the challenge of meeting and exceeding those standards each and every time. Allow us to demonstrate our commitment to excellence! Our experienced sales staff is eager to share its knowledge and enthusiasm with you. Whether you're a fan of the A4, the A6 or A8 or any of our incredible product line-up, we encourage you to browse our online inventory, schedule a test drive and investigate financing options. You can also request more information about a vehicle using our online form or by calling (888) 576-0149. Audi Colorado Springs has a complete Audi parts department stocked with OEM Audi parts and makes it easy to get parts for your new or Certified pre-owned Audi. Additionally, our factory-trained, ASE Certified Audi Service Technicians are the ideal choice for keeping your new or pre-owned Audi running like new.If you'd like to see a vehicle in person, click Dealership: Directions for step-by-step driving instructions to our store, or give us a call. We look forward to serving you and are located within easy driving distance from Monument, Manitou Springs, Larkspur, Castle Rock and Castle Pines.